I spend one weekend being sociable, come back to my desk, and someone has let July begin. Who did that? Come on, own up! And I’m in a bit of a panic now, because once it’s July, that means the Edinburgh Festival must be incredibly close. 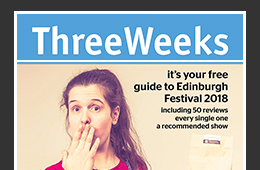 And, when the Edinburgh Festival gets incredibly close, the flood of emails coming into the ThreeWeeks editorial inbox becomes a tidal wave. And though most of them are press releases, I’ve noticed quite a few this last week that have been asking about our annual ThreeWeeks Editors’ Awards – how do you enter, who is eligible, how do you choose who wins? – so let me explain how it all works. We launched the Editors’ Awards at the end of our tenth festival back in 2005. There was already a plethora of great Edinburgh award programmes focused on one genre or another – and more have launched since – and we didn’t want to compete with any of them. Nor did we want to find that one genre that had so far gone un-awarded and launch something very niche to fill the gap. We wanted the freedom to celebrate anything that we felt made any one festival particularly brilliant. And so that is how the Editors’ Awards work. Each year we simply pick ten things that we think added that extra little special something to the Festival just gone, celebrating those ten things at an intimate awards presentation on the final Saturday of the Fringe. There are no categories and no specialisms – awards can go to shows, performers, producers, venues, even whole festivals. In past years we’ve even celebrated apps, promotional campaigns, and people who have turned Fringe turmoil into Fringe triumph. There is no formal entry process either. Before Chris and I sit down in Week 3 to draw up the shortlist we take input from our vast reviewing team – via both their published reviews and their internal recommendations – looking for excellent and innovative shows and ventures that have excited and impressed multiple reviewers, either in the festival just gone, or over successive years. We then add into that our own Festival experiences past and present to decide which ten individuals or groups are most deserving that specific year. You can read about past winners of our Editors Awards at www.threeweeks.co.uk/awards, while this year’s will be presented on the morning of Saturday 24 August. I can’t wait. Meanwhile, have yourself another ThreeWeeks Update, with links to some great new interviews and columns. 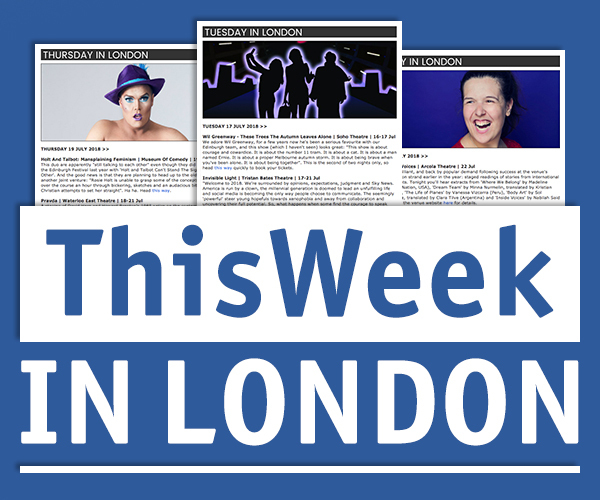 For a round up of the latest interviews and news stories posted to the ThreeWeeks website, and information on advertising and getting covered, click here for the full ThreeWeeks email update. 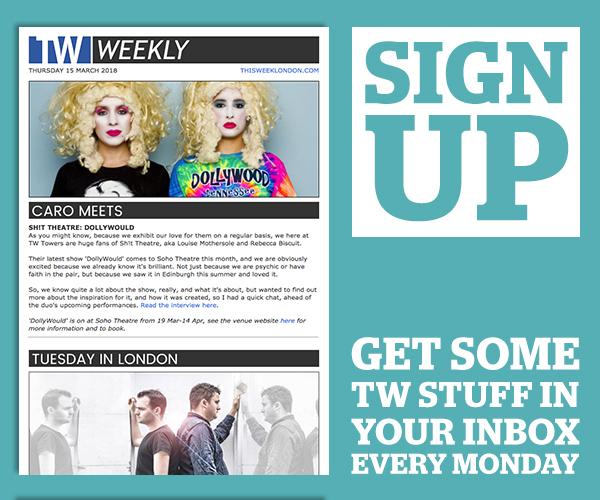 To get the regular update email in your inbox sign up for free here.